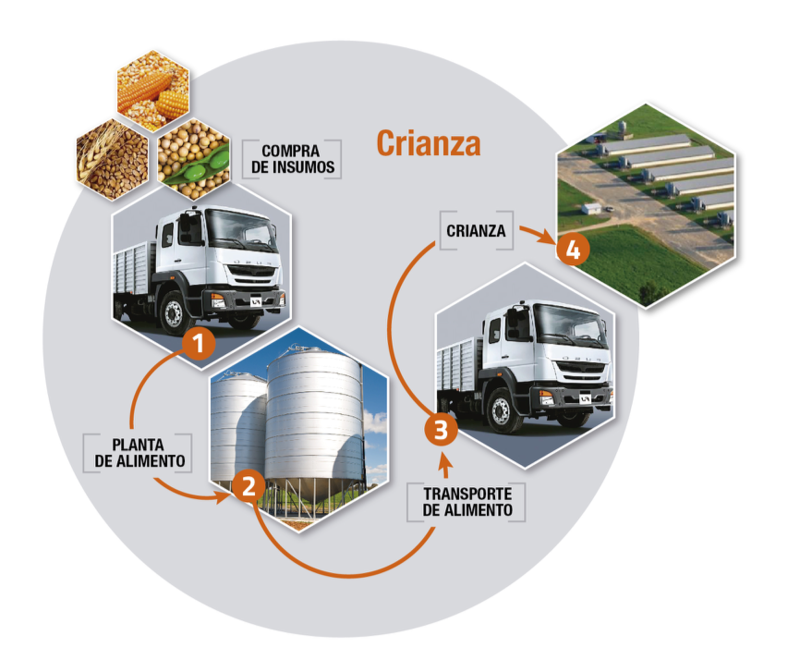 We buy wheat, corn and soybeans to produce our own food for the pigs, in our plants located in Mallarauco and Nancagua. We breed our pigs carefully protecting the biosafety of our employees and of the environment. We have our own laboratories. We generate electricity using the biogas generated by the treatment of pig slurry. 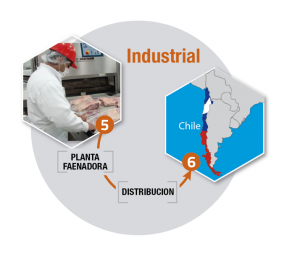 We manufacture our products in our pork and beef slaughter plants, located in Rancagua and San Bernardo. 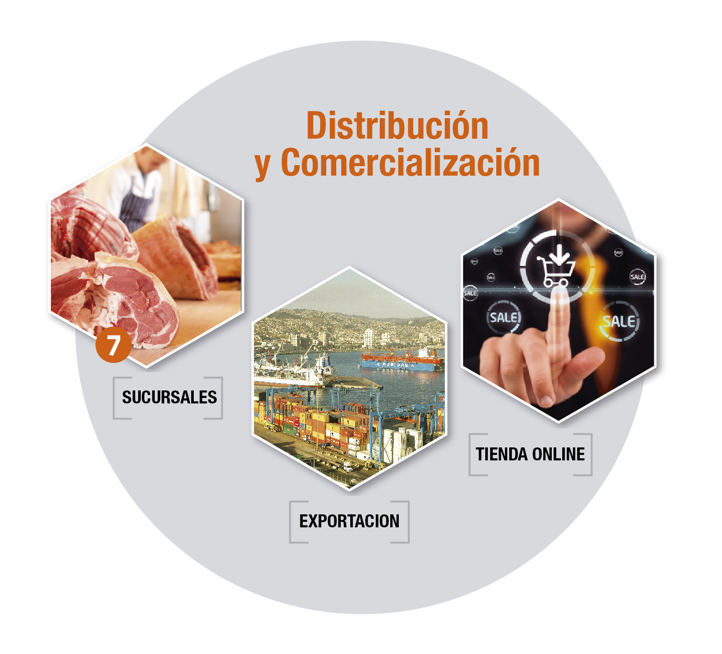 We have a wide distribution of coverage to serve customers of different sizes throughout Chile. We have 9 sales offices located throughout the country. We export our products mainly to Asia and Europe. We have virtual sales and customer service team that provides services through the web. The slurry is the result of combination of pork manure with the waters we use to wash the pig’s pens. 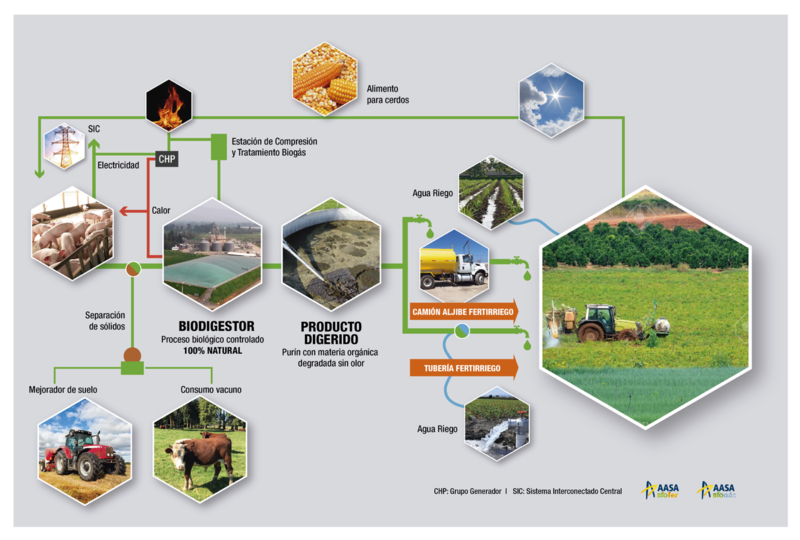 Biogas; it allows us to generate electricity and caloric energy. Bio-fertilizer; it allows us to fertilize and improve soils. generate a better distribution and absorption of nutrients in the different crops, whether annual, prairies, fruits or vines. In this way we incorporate Nitrogen, Phosphorus, Potassium and other essential nutrients to the soil, supporting the growth of the plants.